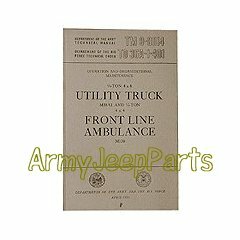 TM 9-8014 Operator and maintenance manual for the M38A1 and M170 jeeps. This book covers all the basic operations and servicing for this jeep. Wiring diagram is included along with all lubrication charts. A must have for any owner of this jeep.